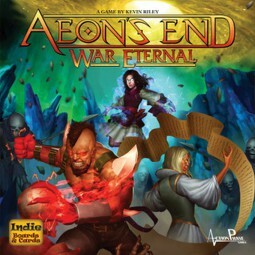 Produktinformationen "Aeon's end - War Eternal"
beneficial spells and weapons to aid their last line of defense: the breach mages. system that simulates the chaos of an attack, and deck management rules that require careful planning with every discarded card. Weiterführende Links zu "Aeon's end - War Eternal"
Kundenbewertungen für "Aeon's end - War Eternal"